Course Website: Official Website - Visit Galloway National Golf Club's official website by clicking on the link provided. 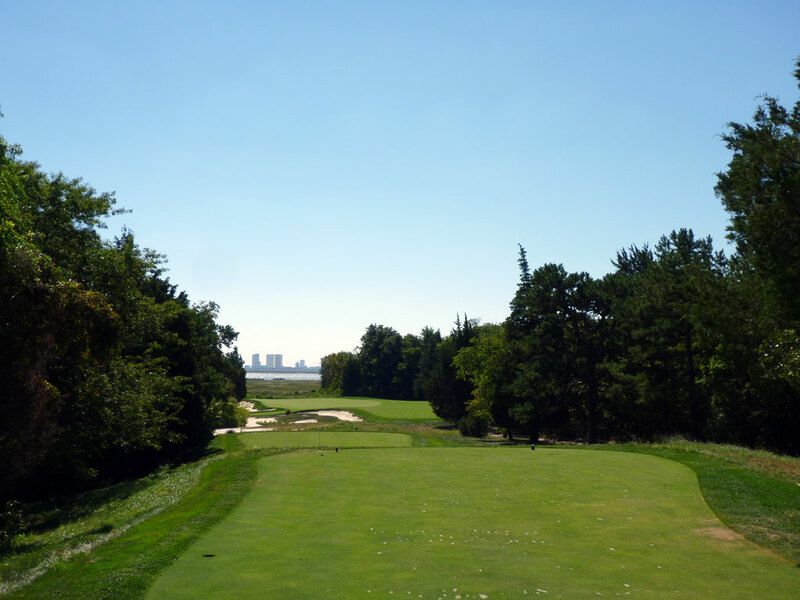 Accolades: Ranked 7th in New Jersey on Golf Course Gurus' Best in State list. 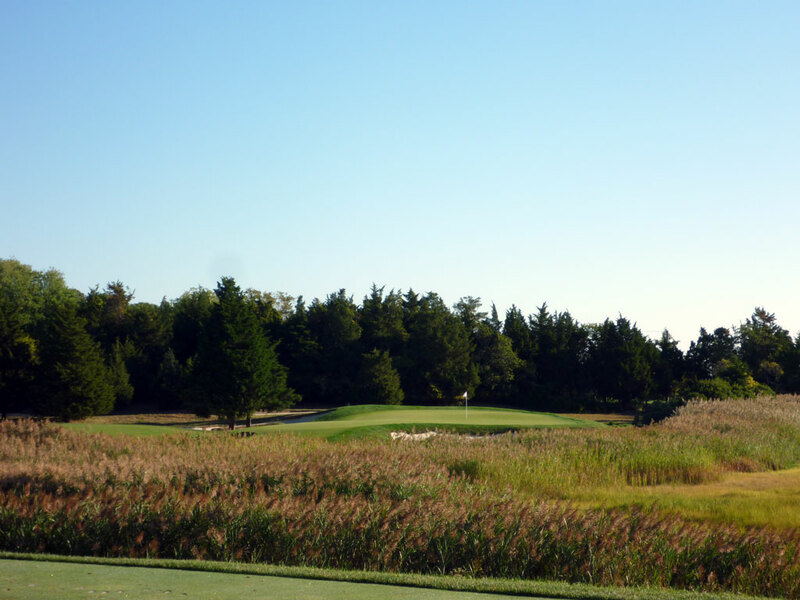 What to Expect: Galloway National is one of Tom Fazio’s Top 100 courses located outside of Atlantic City. 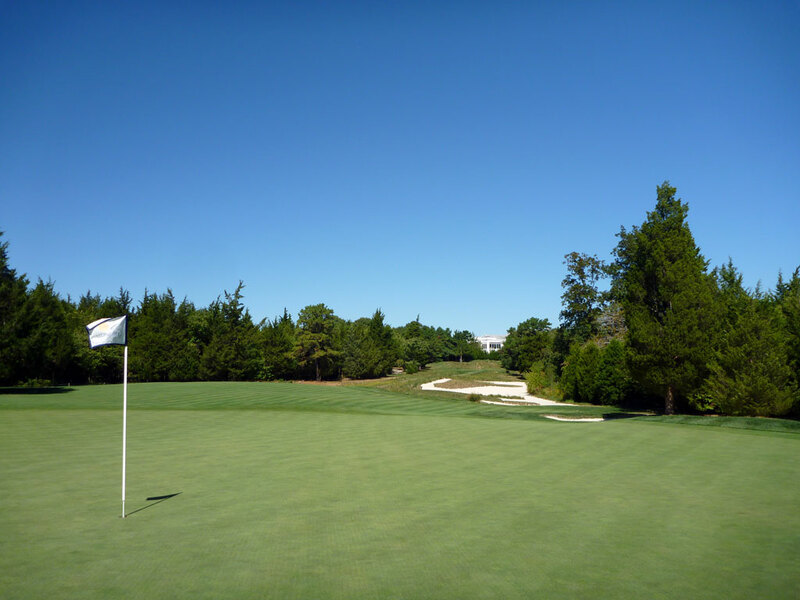 The course is relatively flat and located on sandy soil in dense pine forest. Several water hazards come into play and views of the Atlantic City skyline are afforded on some of the holes. Like all Fazio courses, Galloway National features impressive bunkering, comfortable fairway widths, and fun greens. The club encourages taking a caddy and going for a walk, but carts are available as well. 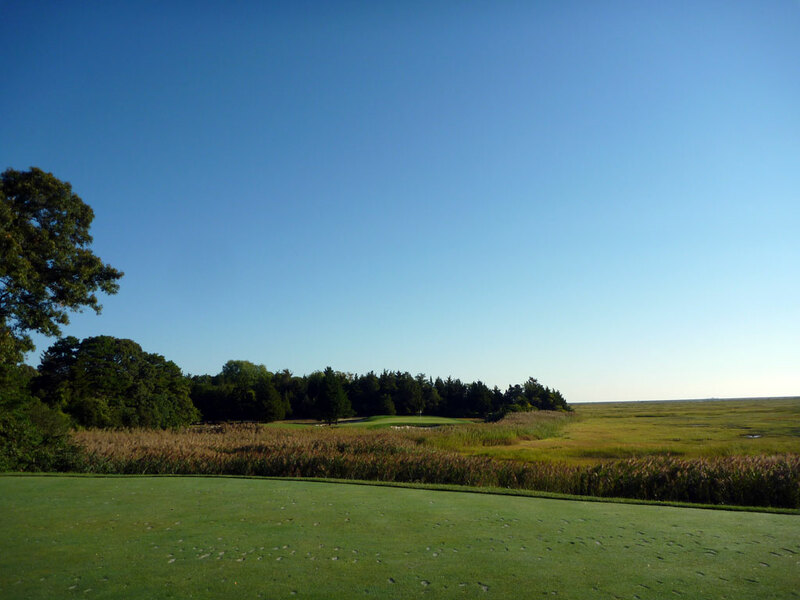 Signature Hole: 2nd Hole – 152 Yard Par 3 – With Atlantic City in the distance to the right and a marsh covering the ground between the tee box and the green, this hole visually is an impressive sight. A bunker fronts the green while a boomerang bunker flanks the left side of the hole but manages to leave a bail out area short and right. Inside the back portion of the boomerang bunker, a pine tree was planted to form a double hazard. Short and sweet at about 150 yards, this hole is an attention grabber and a great way to get things rolling early on in the round. Best Par 3: 17th Hole – 253 Yards – Galloway National’s final par three offer one last view of Atlantic City that frames the background of the green. Plenty of room is offered short of the green on this long one-shotter that features a large bunker up the left side with a pair of trees perched in the sand. It is another impressive offering in the long list of late round par 3s that Tom Fazio has designed over the years. Best Par 4: 1st - Yards - Galloway National gets started with a solid two-shotter that doglegs right and features bunkering reminiscent of Pine Valley. The hole plays slightly uphill and features a series of long bunkers up the right side of the hole that leave little room to find anything but sand. At the outside corner of the dogleg is a bunker ready to catch any tee shots pulled too far left of safety. The approach shot plays to a deep green fronted by a pair of bunkers resting below the slightly elevated green. 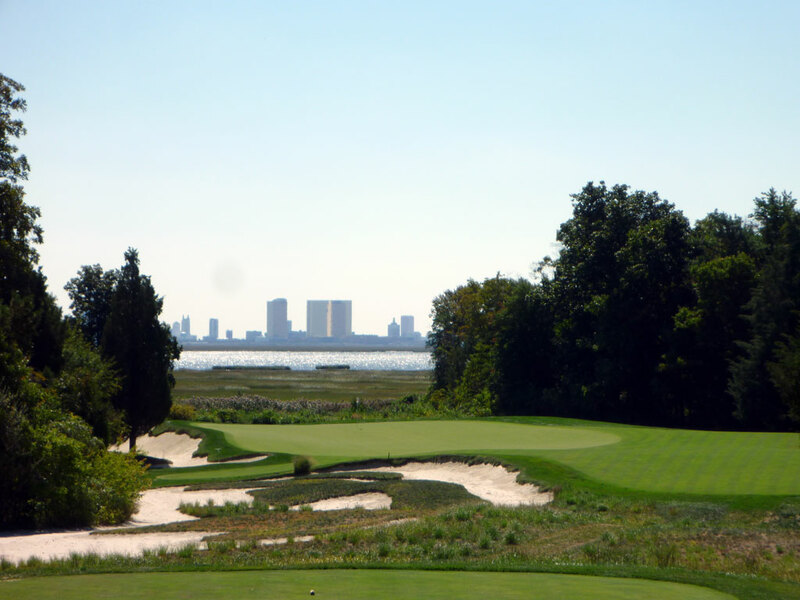 With a view of the water of Atlantic City as the backdrop to the green, it is a nice start to the routing. 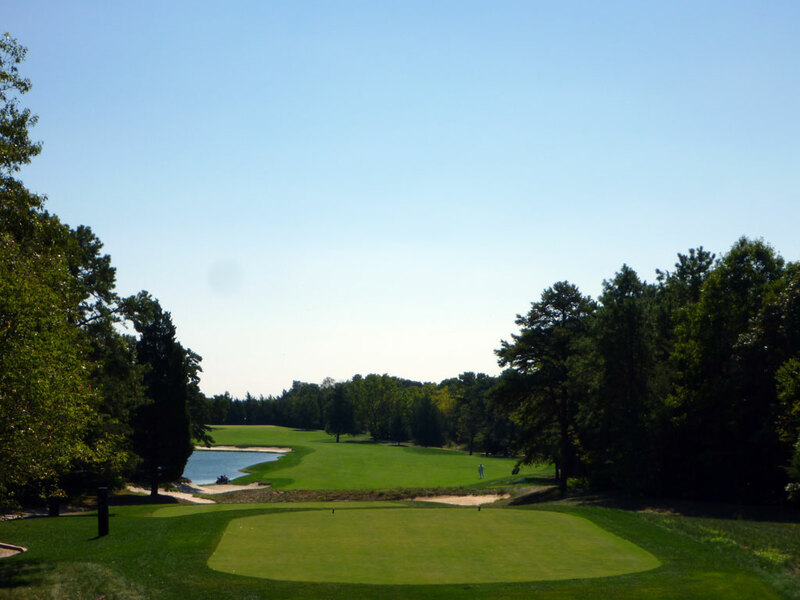 Best Par 5: 16th Hole – 584 Yards – Fazio decided to have some fun with the par five 16th hole by shaping the fairway to look like the state of New Jersey, but the forest acts as the ocean in this reenactment while a water hazard represent Pennsylvania. A bunker climbs out of the top of the water hazard and creeps up to the front left part of the green and around a portion of the side. Visually it is a remarkable hole, and strategically it is compelling. Birdie Time: 11th Hole – 513 Yard Par 5 – Reachable par fives are great chances to card a birdie and such an opportunity is afforded at Galloway National’s 11th hole. A large bunker with a pair of fescue islands found within, engulfs the right side of the fairway about 150 yards from the green. But since this intimidating bunker is 350 yards away, it won’t come into play under most circumstances and can be avoided relatively easily when attacking this green in two. A trio of bunkers protect the green while a front the putting surface and drowns approaches hit short and left. Play to the strengths of your game and go grab a birdie! Bogey Beware: 13th Hole – 474 Yard Par 4 – This lengthy par four is plenty challenging in terms of pure yardage to cover, but factor in the 100 yard long bunker up the right side of the hole and you may have bitten off more than you can chew. Relatively straight from tee to green, there is no yardage that can be cut off on this hole. A pair of bunkers pinch the front tongue portion of the green while the back part of the green widens up considerably. In the end, this is a long hole with a ton of sand to contend with; good luck!